Monday, June 6 - End of Year Party! More info to come. Please make sure to fill out the Continuing Registration Form that was sent home with your child in Friday Folders this past Friday! Please turn them back into me as soon as possible :). This week we started our research about animals from a variety of different habitats. 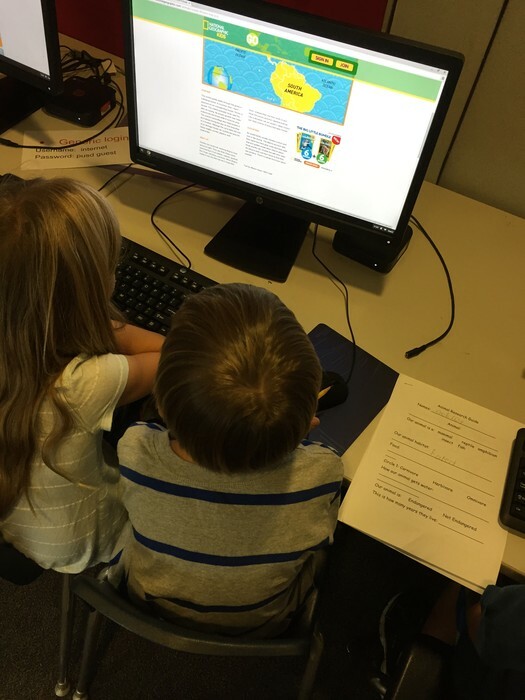 Students used kid friendly research tools online such as National Geographic Kids to research their animal and fill in their research guide to help organize their thinking. 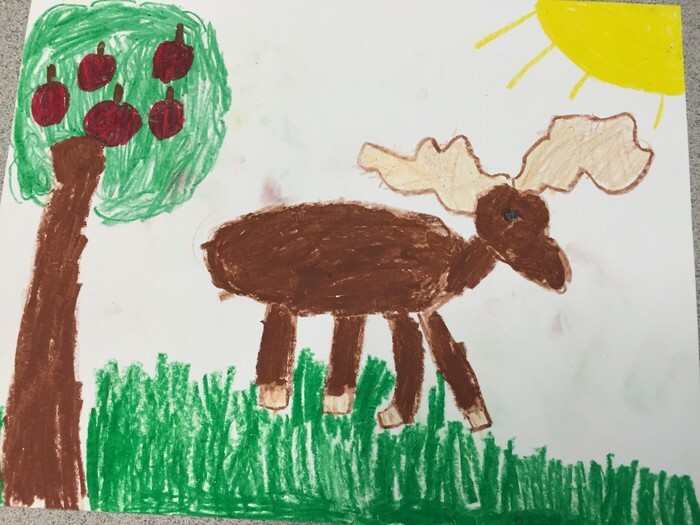 After researching our animals and their habitats this week, we created art work of our animal in their habitat. We made sure to include food and water sources, shelter, and other means of survival in our pictures. 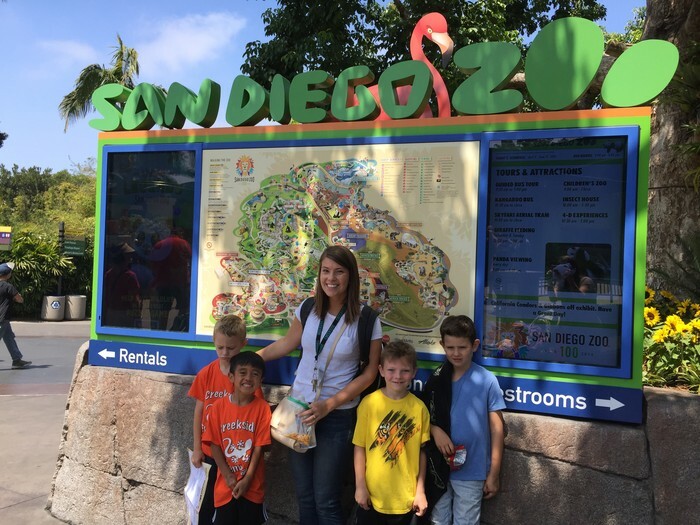 The class had a BLAST at the Zoo this week! The kids loved classifying animals into their habitats during the trip. This is the last week for parent volunteers! Thank you for all of your amazing help this year in our classroom! Foundational: For the remainder of the school year, we will be reviewing concepts that we have learned over the past year. We will be reviewing concepts of CVC words, digraphs, glued sounds, blends, syllable types (closed, vowel-consonant-e, open), and suffixes (-s, -ed, -ing). We will be playing games that reinforce these concepts. Literature: For the remainder of the year, we will be reviewing reading strategies that we have learned this year to help us read and understand words. We will be reviewing comprehension strategies and working on our reading expression and fluency. We will be continuing to learn about informational writing and how we can use non-fictional literature to help us structure our informational writing pieces. We will be working on our informational writing reports this week. The kids are very excited about finishing their reports! Cubs: Cubs will be reviewing what they have learned this year about number fluency, adding, subtracting, math mountains, and place value. They will be using their knowledge of tens and ones to solve math problems with tens frames. Bears: Bears will end the year with learning about adding with two digits addition with place value in mind. We will be reviewing what we have learned about place value and we will be applying that knowledge to adding two digit numbers together. We will end the year finishing our unit on habitats of our world and how animals adapt to survive in those habitats. We will end our year by traveling to India and another country and ending our year by discussing what culture, diversity, and change mean in our world. We will be talking about acceptance and respect for people who are the same and different from us.